“In partial response to the inability of intellectual property laws to adapt to data-sharing over computer networks, several initiatives have proposed techno-legal alternatives to encourage the free circulation and transformation of digital works. These alternatives have shaped part of contemporary digital culture for more than three decades and are today often associated with the “free culture” movement. 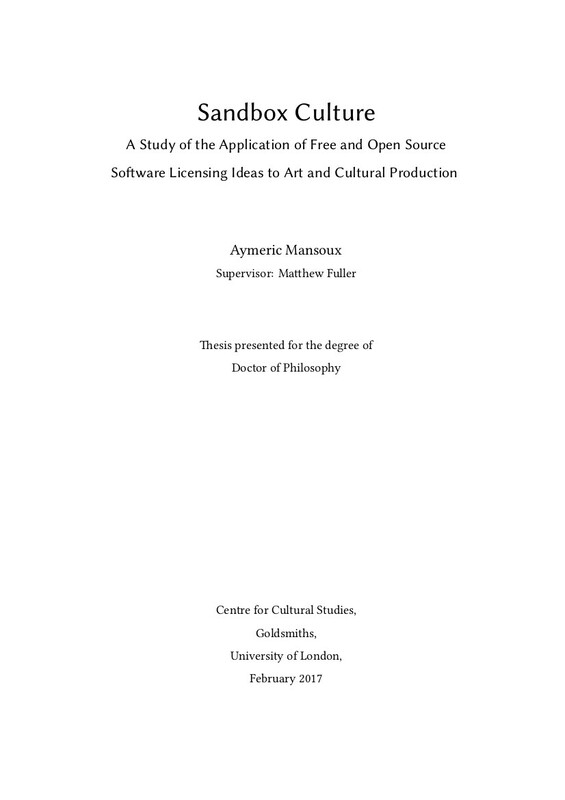 The different strands of this movement are essentially derived from a narrower concept of software freedom developed in the 1980s, and which is enforced within free and open source software (FLOSS) communities. This principle was the first significant effort to articulate a reusable techno-legal template to work around the limitations of intellectual property laws. It also offered a vision of network culture where community participation and sharing was structural. From alternate tools and workflow systems, artist-run servers, network publishing experiments, open data and design lobbies, cooperative and collaborative frameworks, but also novel copyright licensing used by both non-profit organisations and for-profit corporations, the impact on cultural production of practices developed in relation to the ideas of FLOSS has been both influential and broadly applied. However, if it is true that FLOSS has indeed succeeded in becoming a theoretical and practical model for the transformation of art and culture, the question remains at which ways it has provided such a model, how it has been effectively appropriated across different groups and contexts and in what ways these overlap or differ. 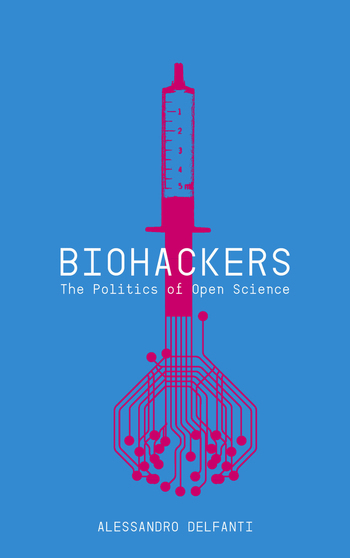 Includes an anthology of proto-free culture licenses, 1998-2002 (pp 382-452). 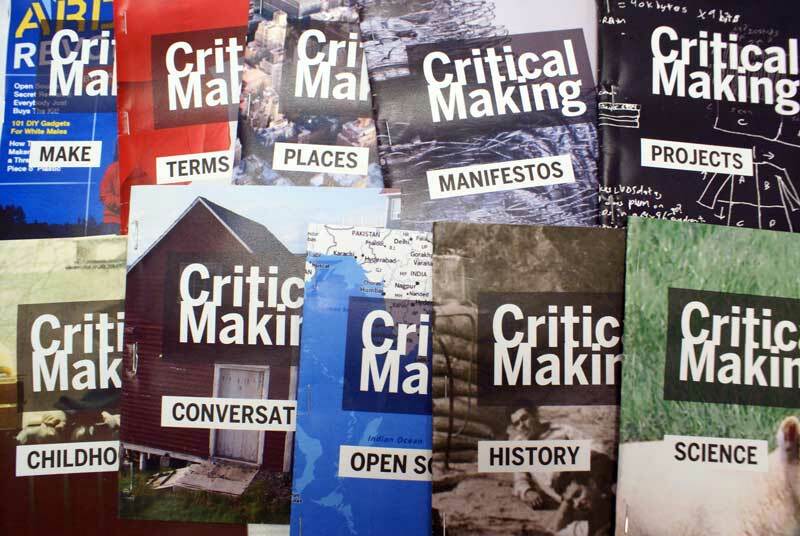 “Critical Making is a handmade book project by Garnet Hertz that explores how hands-on productive work ‐ making ‐ can supplement and extend critical reflection on technology and society. It works to blend and extend the fields of design, contemporary art, DIY/craft and technological development. It also can be thought of as an appeal to the electronic DIY maker movement to be critically engaged with culture, history and society: after learning to use a 3D printer, making an LED blink or using an Arduino, then what? The publication has 70 contributors ‐ primarily from contemporary art and academia ‐ and its 352 pages are bound in ten pocket-sized zine-like volumes. The project takes the topic of DIY culture literally by printing an edition of 300 copies on a hacked photocopier with booklets that were manually folded, stapled and cut. The 300 finished copies were primarily given away for free to project contributors, individuals and institutions important to them. Some of the handmade copies were traded for reviews, photographs, videos, lectures and were given to library archives. Reviews: Debatty (We Make Money Not Art, 2013), Blue (Engine Institute, 2013).